Fishing trips are always exciting! Especially when you fish in the Great Smoky Mountains! 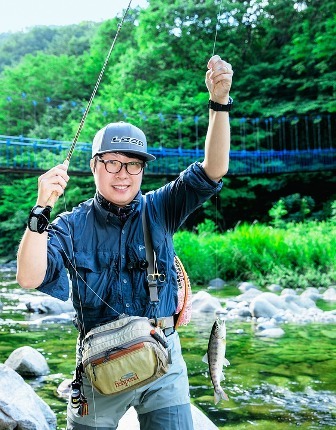 Grab your pole and worms coz' it looks like we're going " fishing!" "Gone Fishing!" Two of the most beautiful words in the English language! Especially when it's you sitting inside the Great Smoky Mountains National Park surrounded by more than 2,000 different places to fish! From headwater trout streams to coolwater smallmouth bass streams, you can believe you're angling experience will be an awesome one! These are stocked to near capacity, and open season for fishing in the Smokies is year around! So grab your pole, and tackle box...because you've officially "gone fishing! Before getting settled, let's look at the rules and regulations required for Smoky Mountain Fishing Trips. First and foremost, you've got to have your license in hand before heading out. 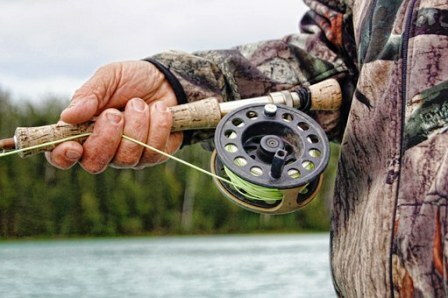 Check my "fishing license" link on how to obtain that all-important document. Choose the area where you want to fish and begin early! The park allows you to start angling 30 minutes before official sunrise, and fish all day long! However, you must stop 30 minutes after official sunset. Of all the fine streams to choose from, there is only one that is off-limits. It's the Lynn Camp Prong - upstream of its confluence with Thunderhead Prong in Tennessee. This stream is closed primarily to allow fish to repopulate. More information and exact location is listed on maps sold inside the park's visitor centers. There is a 7 inch minimum size limit for Brook, rainbow, brown trout, and smallmouth bass! For the Rockbass, no minimum! If you happen to catch one of these fish smaller than 7 inches, IT MUST BE IMMEDIATELY RETURNED TO THE WATER WHERE IT WAS TAKEN! Fishing trips in the Great Smoky Mountains National Park means obeying all size limits, and daily possession rules. Limits for brook, rainbow, brown trout, smallmouth bass, or a combination of these is 5 per day. This rule applies to fresh, ice chest stored, or otherwise preserved. 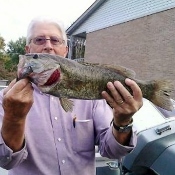 In addition to this limit, twenty rock bass may be kept. When you reach your limit...STOP FISHING IMMEDIATELY! Now that you know the drill, looks like your set! So grab your gear and head toward the mountains! And if anybody asks...you'll just have to tell them you've taken one of the best fishing trips EVER! 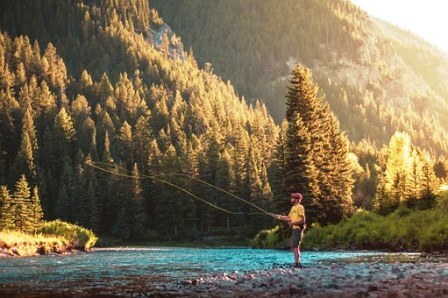 You've "GONE FISHING" in the Smokies!